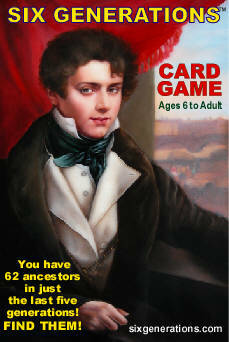 SIX GENERATIONS card games/playing cards, IMMIGRATION FROM EUROPE TO AMERICA edition is using the most popular first names for the characters from the times and countries they are from. The names were obtained at the bureaus of vital statistics of 21 nations. 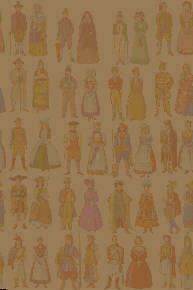 By clicking the name you will open a page with a man or a woman, who has this name on the card.